Claire Murphy is a freelance illustrator from Melbourne, Australia with a love for comics, graphic novels and vintage. 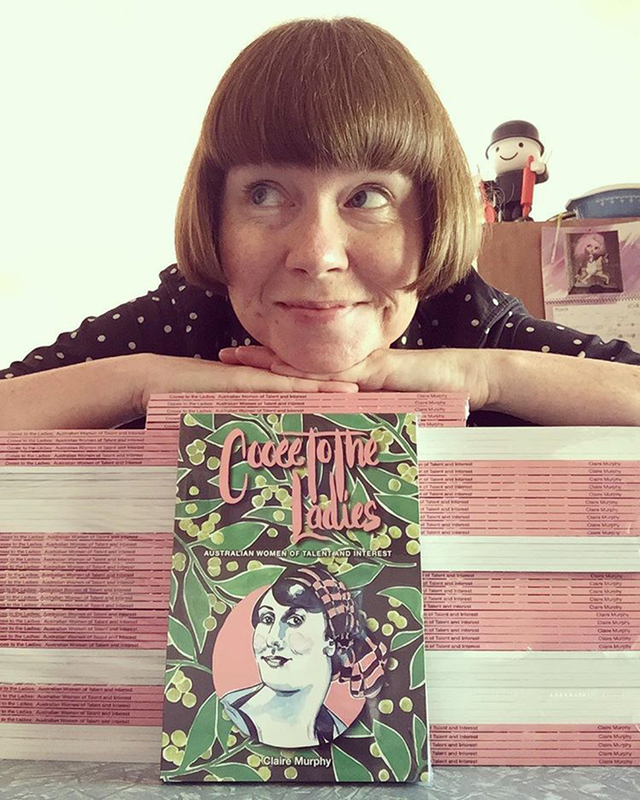 She recently selfpublished the wonderful book ‘Cooee to the ladies, Australian women of talent and interest’. High time for an interview! Hi Claire! First of all, would you like to share a little background with us? I studied illustration at University for 4 years in the early 1990’s, and on finishing I moved from Australia to London. Not getting anywhere with my illustration (I approached various London illustration associations) I gave up drawing for a long time. It was only about 5 years ago I started drawing again, put a table in our living room and I couldn’t stop. 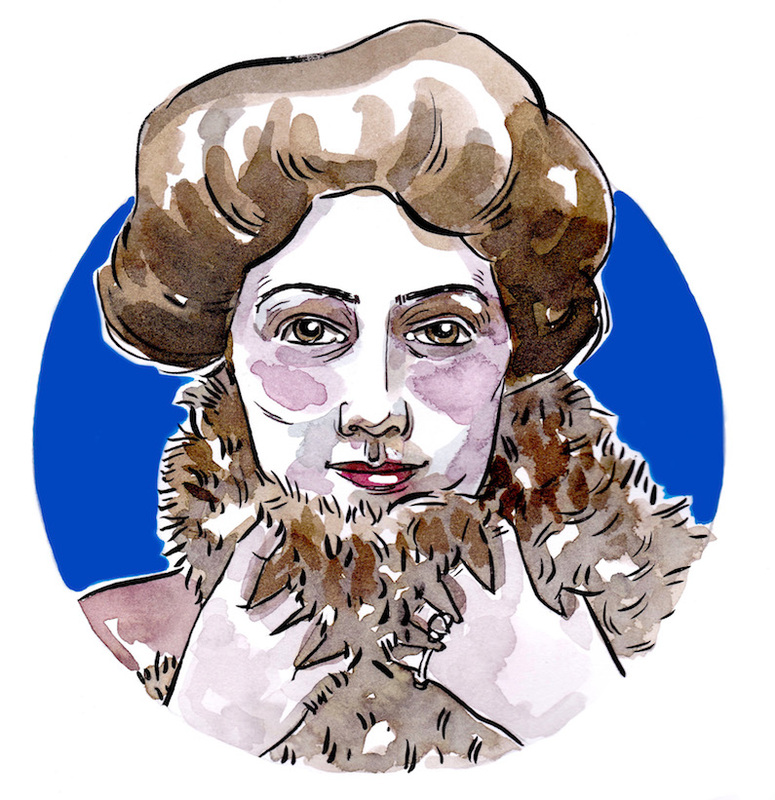 I recently illustrated a picture book on Dame Nellie Melba in 2016 for a large publishing house and self published ‘Cooee to the Ladies’ in December 2017. I’m currently working on a graphic novel with my husband, due to come out at the end of 2018/beginning 2019. ‘Cooee to the ladies’ started as a ‘Drawing a day’ project. You went a step further and not only illustrated the book beautifully but added so much information about these inspiring women! Would you like to share something about the process? Yes I started a personal project on Instagram, just to keep me drawing and developing my drawing/painting. As I was getting inspiration for the images online, I came across some fascinating women in history I had never heard about. 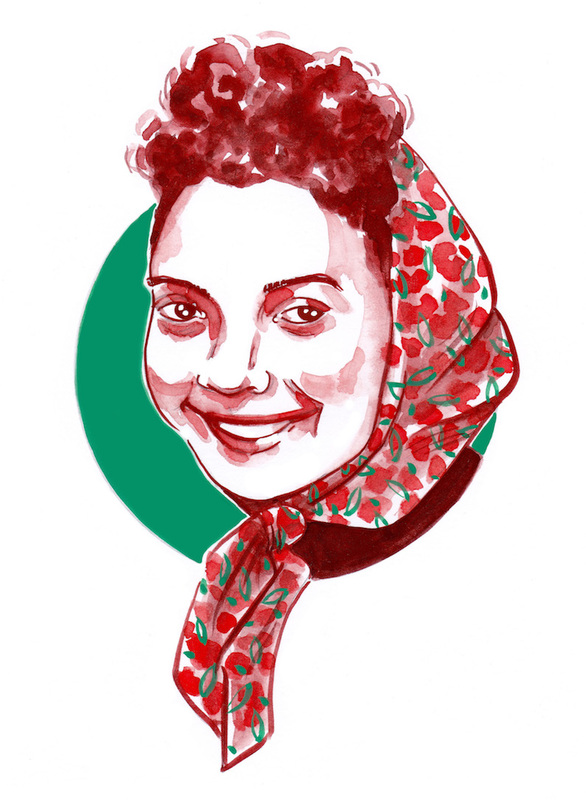 For a while I was drawing a lot of women from outside Australia and it occurred to me I had to dig a little deeper to discover Australian women – that’s when I got the idea that these women should be out there and in a book. Having made several zines before, what made you choose to make this into a bigger book, or was it something that evolved naturally? I was thinking of a zine at first but thought just like the American ‘Rebel Girls’ book, they deserved to be collected in a book that would be accepted for sale in a wider variety of shops. It’s currently stocked in bookshops, independent designer shops and gift shops in Australia (as well as in my Etsy shop). 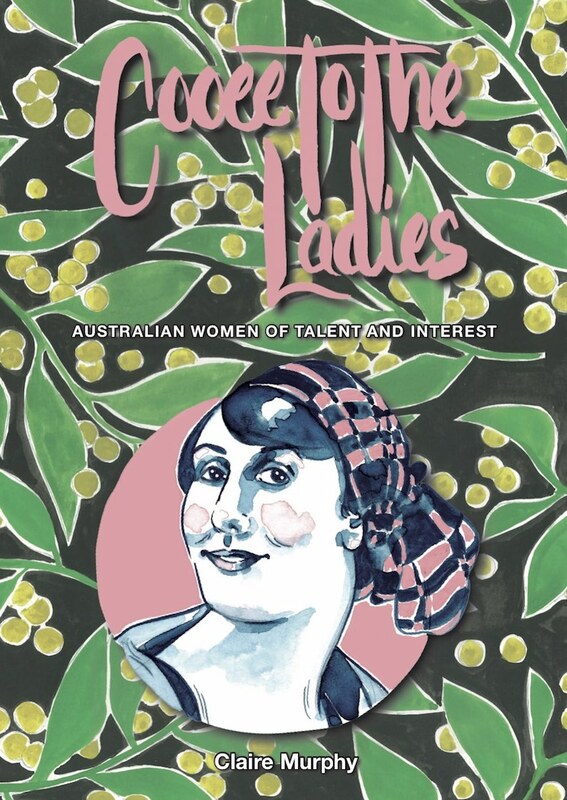 ‘Cooee to the ladies’ features several inspiring Australian women from the early 20th century. What attracts you to this particular period? The early part of the 20th Century was a really fascinating time for women. With New Zealand women first getting the vote in 1893, it enabled a wave of change that was simmering for a long time and it changed the way a lot of women saw their place in society. Women were slowly able to get a higher education, drive a car, follow their political dreams and even compete in sport. People who follow you on Instagram will know that you LOVE vintage. How does that manifest in your every day life? When I was in high school I used to go Op-shopping with my friends – we didn’t particularly want to dress like everyone else so added vintage clothes to what we were wearing and that no one else would be wearing. When I moved to London I got a job at a vintage shop in Covent Garden and this continued my love of vintage. 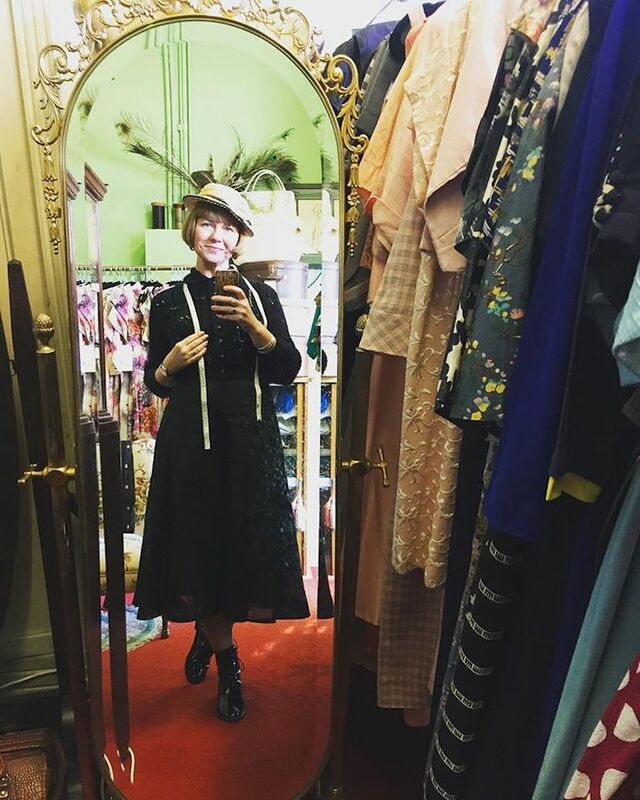 Today I find myself working at another vintage shop in Melbourne (Clara Fox Vintage) and I love it. Vintage holds history, beauty and a technical fascination for me – there is so much to learn about how we dressed, how the materials were made and their place in history. Purchase ‘Cooee to the ladies’ and more in Claire’s shop: tunabake. And if you love her illustrations and vintage style, Claire’s Instagram is definitely worth a follow: tunabake.